To help put our measurement topic in to context, we measured out our hockey pitches and goals during P.E. using trundle wheels. Salem from the Inter Faith Centre visited Year 6 to talk about his religion: Islam. During Healthy Week, we looked at the different aspects of health. One of these is hygiene. 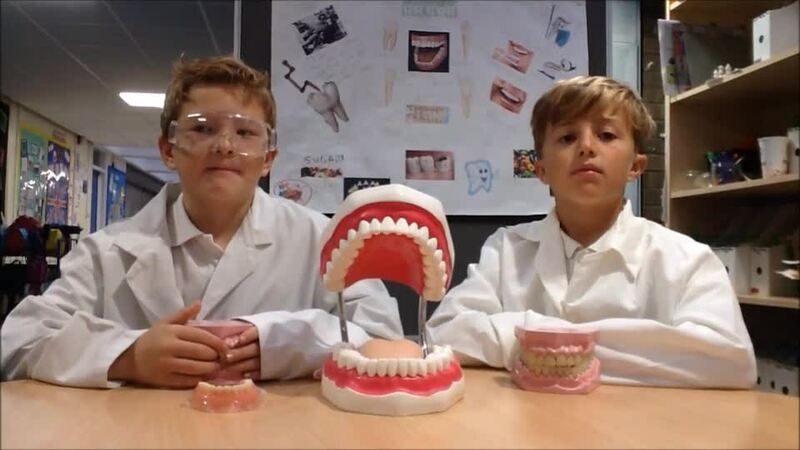 When we were in Year 4, we produced a video on how to keep our teeth healthy. Here's a reminder. We had a visit from the Life Bus and focused on decisions - something which will be important when transitioning to secondary school. Here's Anya's report and some photographs. When Year 6 went to the life caravan we talked about drugs. What they are and what the effects were. We watched a video of some boys going to a friend’s house and finding some alcohol. At the end of the video some of the boys stood up for Jack (the boy whose house it was). We finished by saying goodbye to Harold one last time. As part of eSafety week, we have been discussing how to stay safe online and the rules we should follow. On the 8 November a Viking came in (not a real Viking but pretty realistic) and told us what the Viking life was like. Did you know that during the Viking times it took about 6 months to make a pair of shoes? Most people think that Vikings had horns on their helmets, but they didn’t, they only had one spike on their helmet to protect them in battle. We really loved having him as he told us many facts. By Isabelle and Cara. We have started the year by looking at the growth mindset and how we can show this in class. Here are some quotes we have discussed. We have been conducting electrical investigations to see if the amount of bulbs, wires or batteries effect the brightness of the bulb(s).